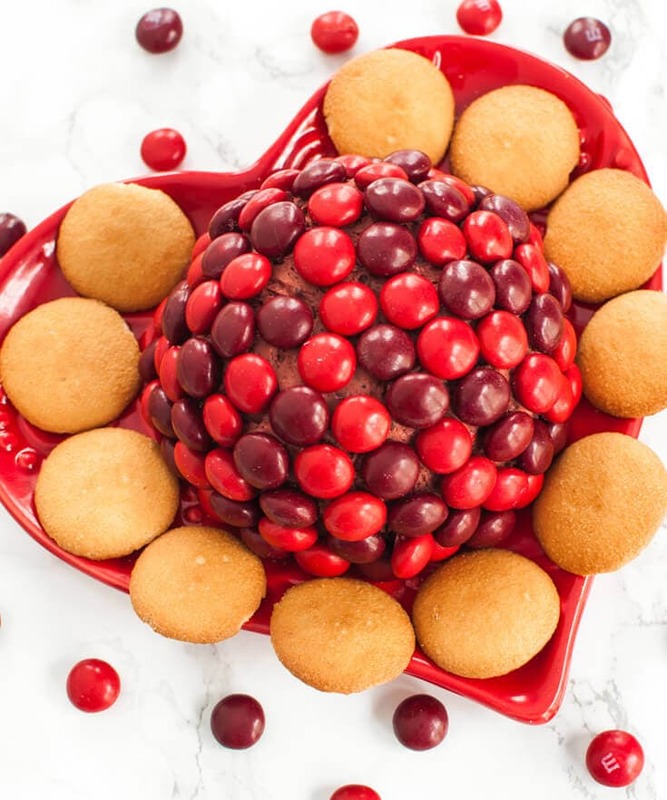 This Cherry Chocolate M&M Cheese Ball is a fun, sweet dessert for Valentine’s Day. It’s a perfect idea for an easy kids activity too! were a thing, did you? I was browsing through the Valentine’s day candy aisle at my local Target when I ran across this limited edition Valentine’s day flavor. 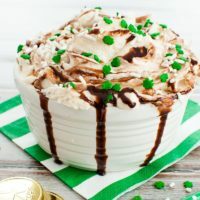 For Christmas, I did this Holiday M&M Peppermint Cheese Ball so I thought these would make a great cheese ball for Valentine’s Day. 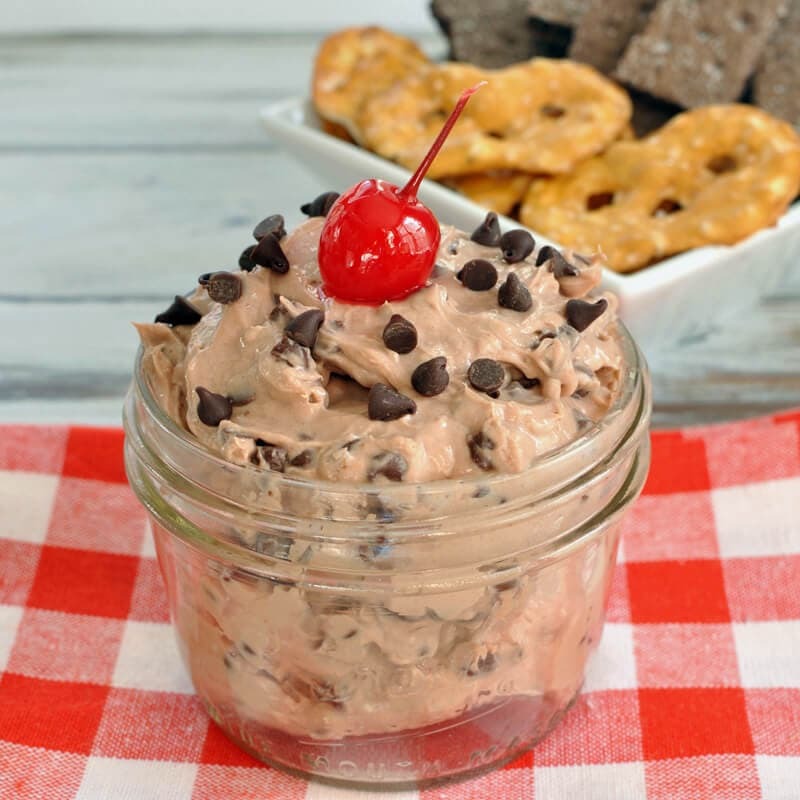 Kids love M&Ms and what a fun time kids could have covering the cheese ball in the M&Ms. Crushing the M&Ms could be fun for the kiddos too (just watch those fingers if you are doing it by hand). 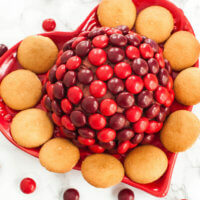 and you have a fun Valentine’s treat for kids and adults alike. 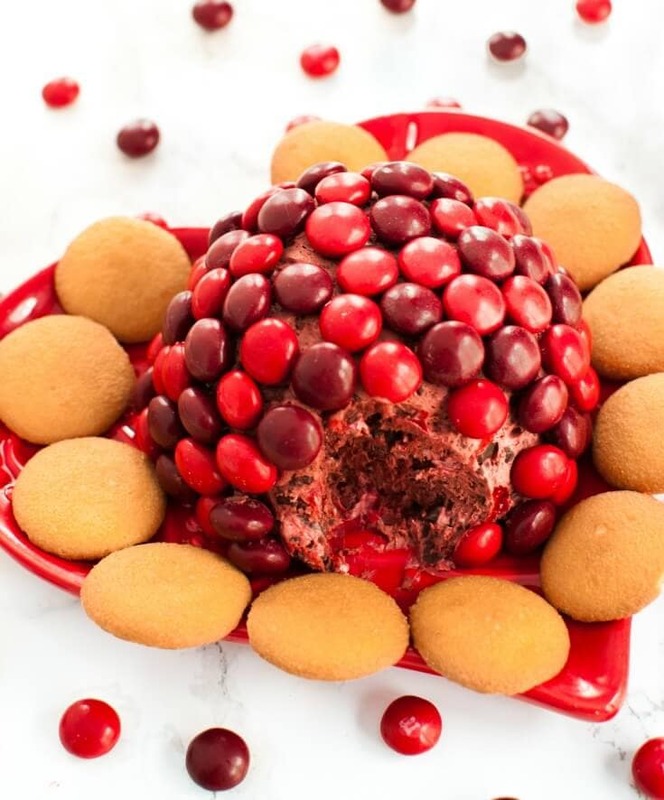 5 ingredient Valentine's Day dessert that tastes like a chocolate covered cherry. 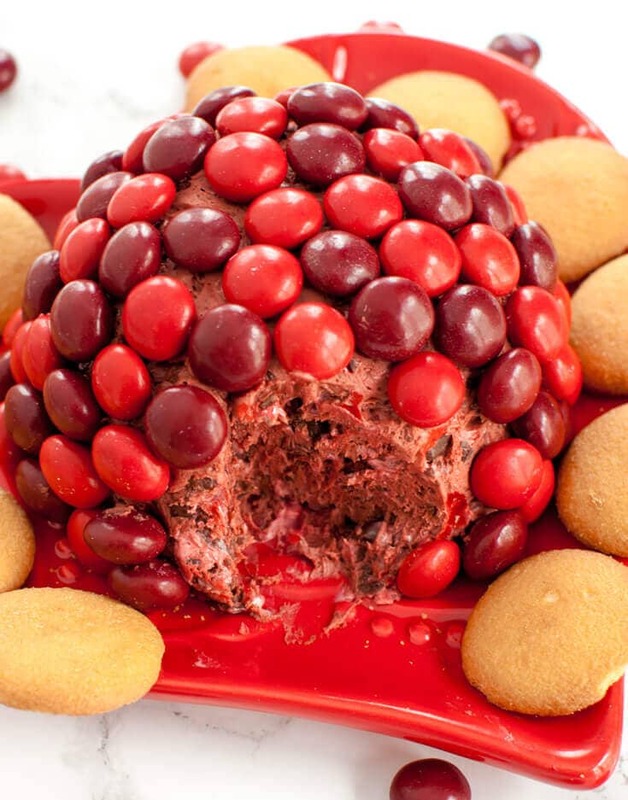 This Cherry Chocolate M&M Cheese Ball is easy and fun. 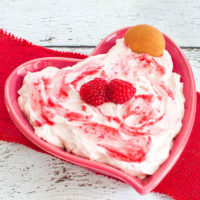 Using a mixer on medium speed, mix together the cream cheese and butter until smooth. Add in powdered sugar and cocoa powder and mix until combined. Line a small bowl with plastic wrap and place dip into the bowl. Cover with plastic wrap and chill for at least 4 hours to overnight. Carefully remove cheese ball from bowl and place onto a plate. Right before serving, cover with additional M&Ms by gently pressing them into the cheese ball.